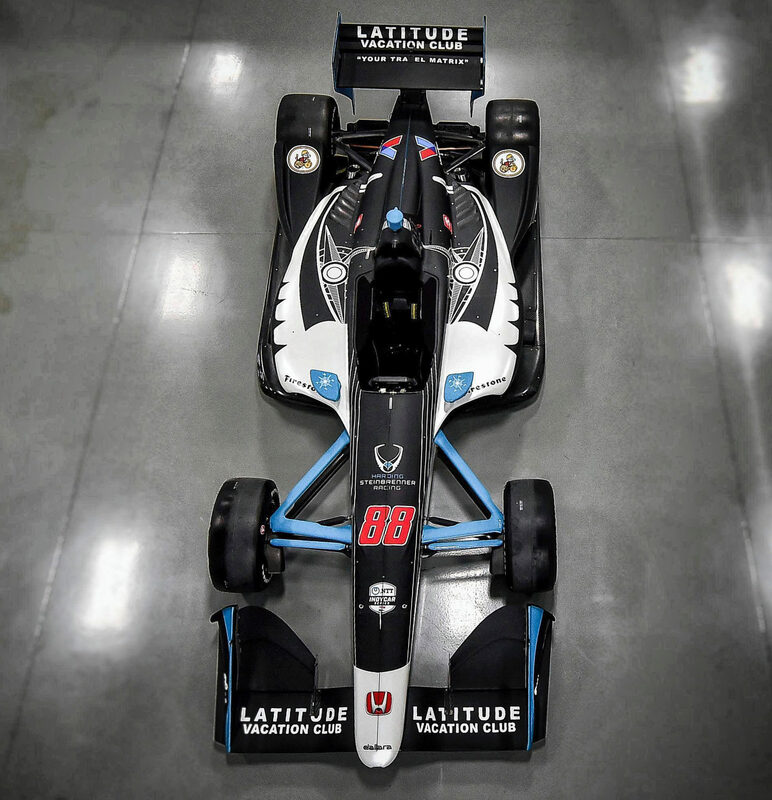 Harding Steinbrenner Racing is thrilled to announce that Latitude Vacation Club will serve as primary sponsor of the #88 Honda-powered Indy car for the Firestone Grand Prix of St. Petersburg and primary several races throughout the 2019 NTT IndyCar Series season. Latitude Vacation Club is an exclusive travel and lifestyle benefits matrix built for vacationers. Valenica, CA native Colton Herta will begin his NTT IndyCar Series rookie season this week in the Firestone Grand Prix of St. Petersburg. Herta finished second in the 2018 Indy Lights Presented by Cooper Tires Championship with four wins and three pole positions. He also captured a historic “May Sweep” winning the Freedom 100 and Grand Prix of Indianapolis. He made his INDYCAR debut at Sonoma Raceway for the season finale where he finished 20th. The Firestone Grand Prix of St. Petersburg, the 2019 NTT IndyCar Series season opener will take place this Sunday, March 10, along the streets of St. Petersburg, Florida. Coverage will begin at 1:37 p.m. ET on NBC Sports. Extensive coverage can be found on INDYCAR Pass on NBC Sports Gold. For more information or to subscribe to INDYCAR Pass on NBC Sports Gold, visit www.nbcsports.com/gold/indycar. Celebration, Florida based Latitude Vacation Club is led by 30-year hospitality leader Cecil Latta as it’s CEO & Founder. John Bell serves as the Companies Chief Information Officer and Gina Neri serves as the Vice President of Human Resources & Operations. Latitude’s customers benefit from exclusive wholesale travel products such as hotels, resorts, cruises, cars, activities and more. Colton Herta began racing go-karts at the age of four. At 12 he turned to cars and promptly won the Pacific F1600 Series championship and finished second in the Skip Barber Summer Series. At 16 year-old, the Valencia, California native quickly impressed by winning the second race of the Indy Lights Presented by Cooper Tires 2017 season. That year he also led the series with seven pole positions, set five new track records and earned Rookie of the Year honors. Most recently, Herta won the Rolex 24 Hours IMSA race with Rahal Letterman Racing and placed second in the Indy Lights Presented by Cooper Tires championship with four wins, three pole positions and 13 podium finishes.